KOEI TECMO America invites you to celebrate 22 years of the DEAD OR ALIVE series. 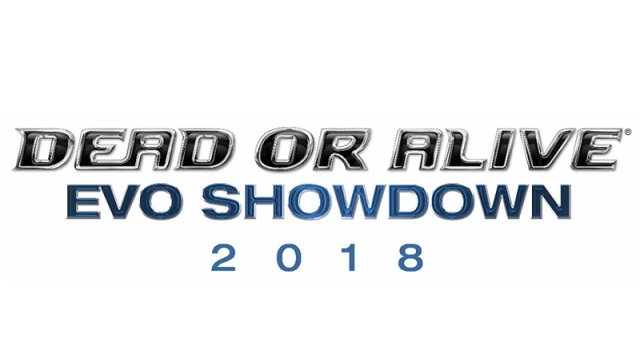 They have announced DEAD OR ALIVE EVO Showdown 2018 at the Evolution Championship Series 2018 (EVO 2018). Yep! This will be the games first major appearance at the event taking place from August 3 through 5. This celebration will allow fans to meet fellow competitors and get their hands on some merchandise only available at EVO 2018. For more information on this event please check out the press release below. There will also be a special DOA5 Last Round tournament happening. More information and registration for that will be known in the coming weeks. KOEI TECMO America invites our fighters to celebrate 22 years of the iconic fighting series, DEAD OR ALIVE (DOA), and is excited to announce the “DEAD OR ALIVE EVO Showdown 2018” at the Evolution Championship Series 2018 (EVO 2018) from August 3rd through 5th, 2018 – featuring DEAD OR ALIVE 5 Last Round! This grand celebration of the DOA fighting franchise will offer fans the opportunity to meet fellow competitors and gain access to some exclusive merchandise which will only be available at EVO 2018. “To the DEAD OR ALIVE fans and fighting game fans, thanks to you all we are proudly announcing that DOA5 Last Round will take part in the world’s largest fighting game festival EVO. 5 years have passed since the DOA5 series started and it’s been played by more than 10 million gamers. Meanwhile, the DOA community has expanded to become larger than ever before. To proceed to the next stage, we announced the end of the DOA5 series in December, but to my surprise the gods of fighting games have given us another chance to let players enjoy this franchise at an event once more. Though it’s a side tournament, the fact that DOA is joining EVO itself is key, and something which we have been longing for over 10 years. A special DOA5 Last Round tournament will be held during the event, to mark the title’s first major appearance at EVO. Those who are ready for the challenge and wish to enter this unforgettable showdown will be able to register at a later date; more details will follow in the coming weeks. Fans who wish to join the celebrations are able to register for tickets on the EVO official website in the coming weeks; a further registration will be required for entrance to the special tournament held at the event.